Nelson Ireson April 1, 2014 Comment Now! 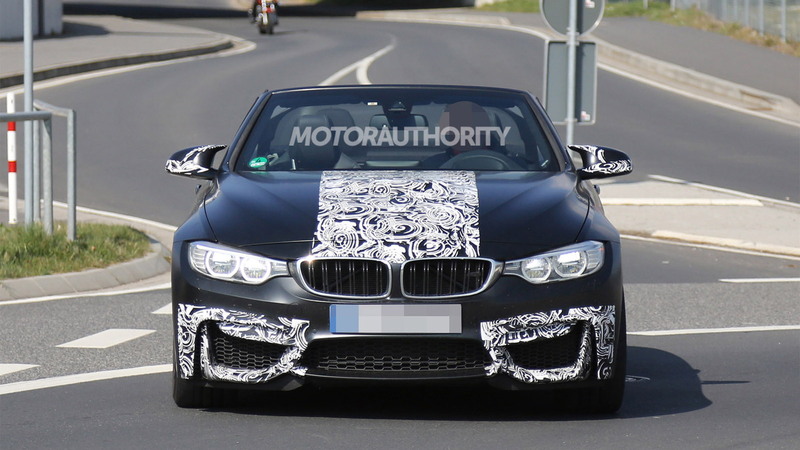 BMW’s new M4 has made its debut in coupe form, and soon it will spawn a convertible. 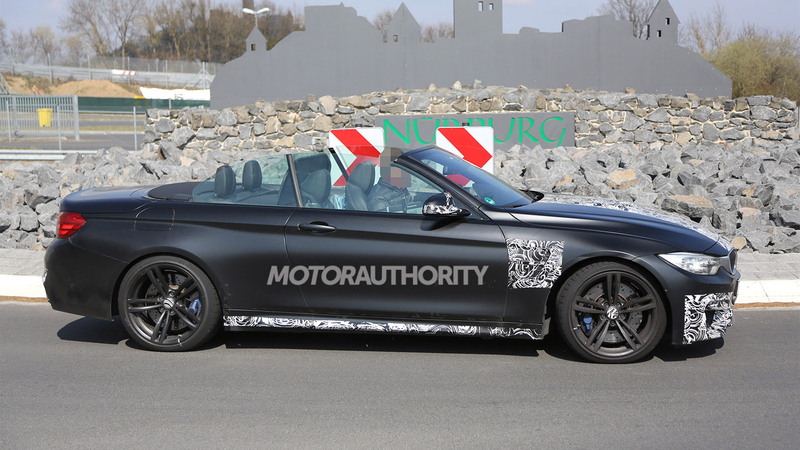 Prototypes for the M4 Convertible have been spotted wearing the least camouflage gear we’ve seen yet, which means an auto show debut can’t be far. 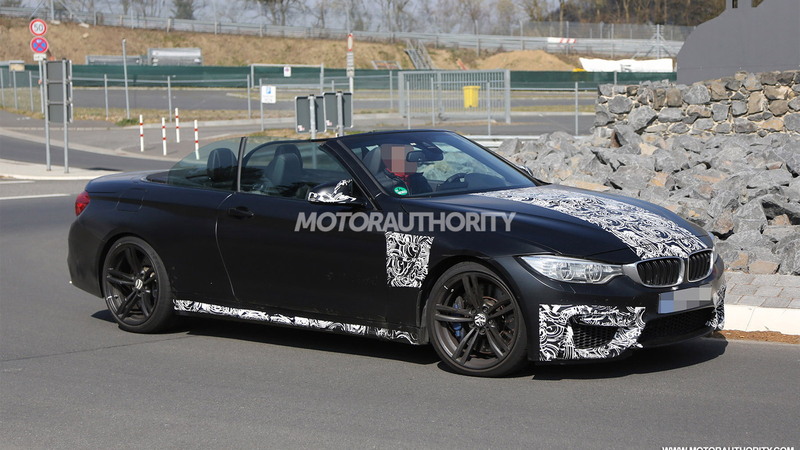 Like the M4 coupe (and the M3 sedan), the M4 Convertible will come with a twin-turbocharged 3.0-liter straight-six engine delivering 425 horsepower and 406 pound-feet of torque. That’s only a slight increase in power over the 414-horsepower rating of the previous M3 Convertible, which this new M4 Convertible replaces, but peak torque is a significant leap over the previous 295 pound-feet. Drive will go to the rear wheels only, via a six-speed manual or seven-speed M-DCT dual-clutch transmission, and owners can expect 0-60 mph acceleration of around 4.0 seconds and a top speed electronically limited to 155 mph. Standard M goodies will include adjustable stability and traction control, adjustable electronic power steering and adjustable suspension. 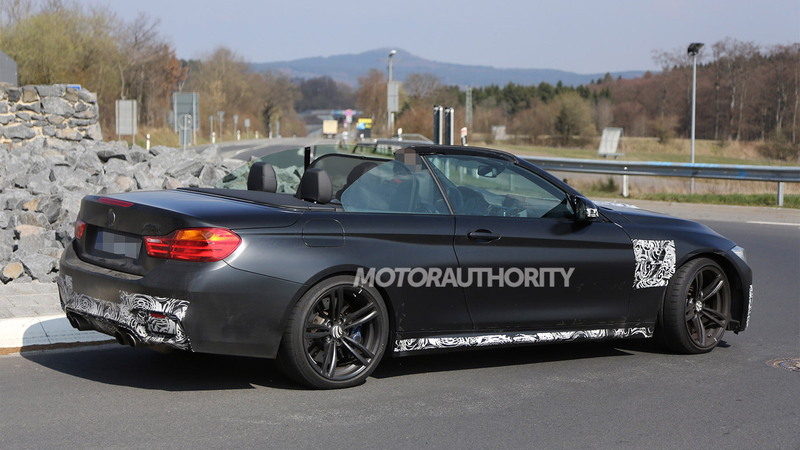 The M4 Convertible shares its retractable hard-top roof with the latest 4-Series Convertible, but the car is significantly wider and should be lighter too. Most of the savings will come from the use of lightweight materials for certain components, including aluminum and carbon fiber reinforced plastic. 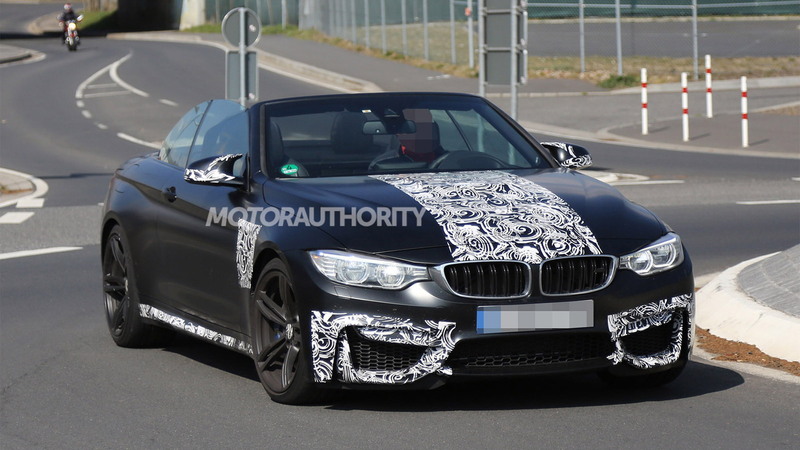 Look for the M4 Convertible to be revealed in the near future, perhaps even as early as this month's 2014 New York Auto Show. Pricing for the M4 coupe was recently confirmed to start from $65,125; the premium for the convertible should lie somewhere between $5k and $10k.